This is the NSP's core mountaineering course, designed to introduce participants to techniques for traveling and working in reasonable safety and comfort in a winter environment. 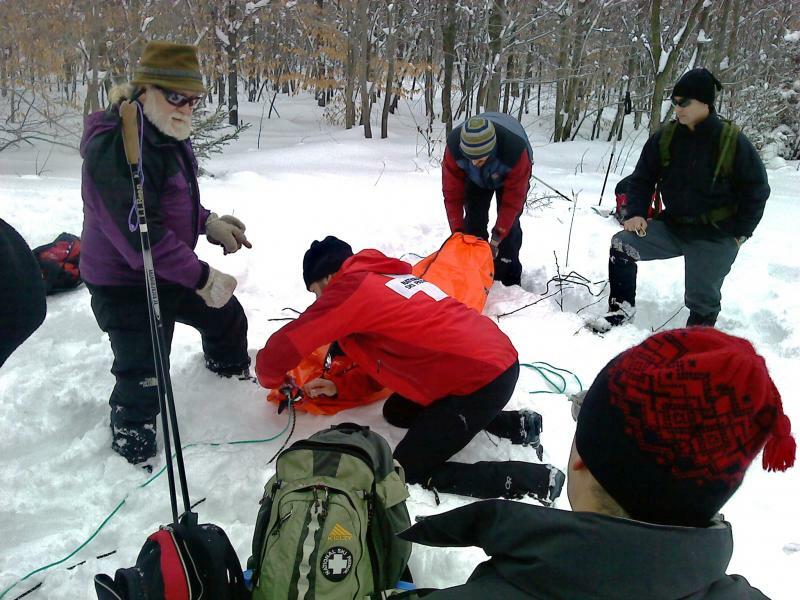 The course includes both indoor and outdoor activities encompassing such subjects as survival skills; clothing and equipment selection for winter camping and travel; emergency shelters; seach & rescue; navigation & route selection; roped rescue; cold weather nutrition & medical concerns; and group dynamics. These are followed by an overnight campout. (Anyone who wishes not to camp will receive the MTR Fundamentals credential.) Open to Nordic and Alpine patrollers, and to anyone with an interest in mountain travel or patrolling. The course will be held at Laurel Hill State Park, near Somerset, PA. Advance registration required. Contact Regional Nordic Advisor Jerry Timcik. Locations to be announced. Advance registration required. Contact Regional Nordic Advisor Jerry Timcik. Other regional Ski Patrol events may be found on the NSP Western Appalachian Region (WAR) website.